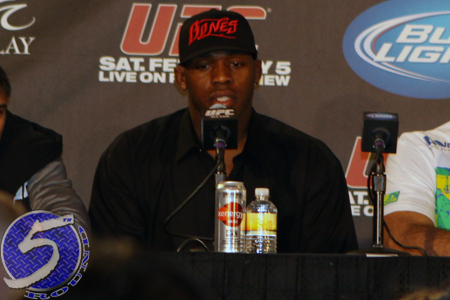 After light heavyweight king Jon Jones decided he was ill-prepared to accept a last-second scrap against Chael Sonnen to salvage UFC 151, company president Dana White threw Jones and his coach, Greg Jackson, under the bus for forcing him to cancel the first Octagon event under his watch. White and UFC co-owner Lorenzo Fertitta were “disgusted” with Jones’ decision, especially since an out of shape Sonnen was more than willing to step up to the plate to replace injured Dan Henderson. Jones quickly became MMA’s version of LeBron James after he hosted “The Decision” to announce he was taking his talents to South Beach. While Jones made the move he felt was best for his career, much to the dismay of UFC officials and fans alike, he does appear to understand many were negatively affected by his choice. On Saturday, the 25-year-old superstar addressed the drama on his Twitter account. Jones now defends his throne September 22nd at UFC 152 against Vitor Belfort.